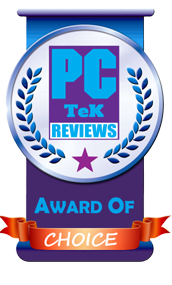 04 Sep, 2017 Rakesh Sharma Reviews . 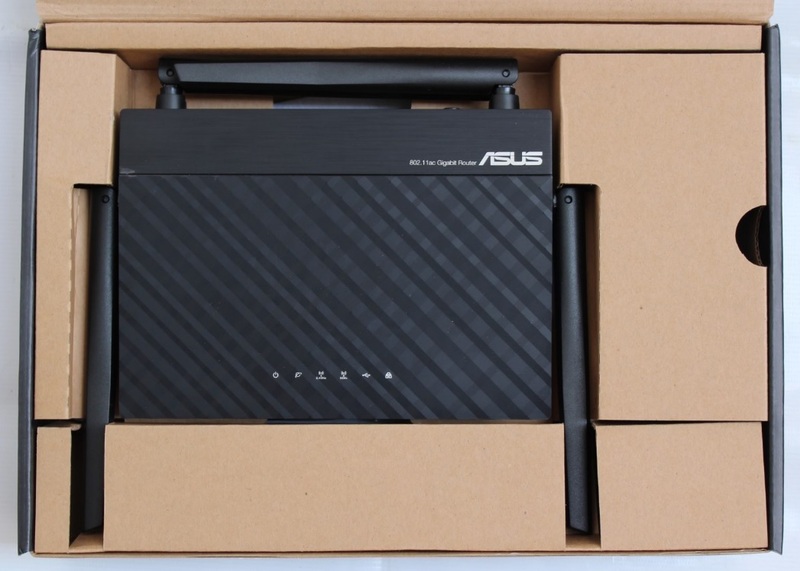 We at PC TeK Reviews were fortunate to review few of the best Wireless routers from ASUS in the past and were very impressed with the router product line from ASUS. 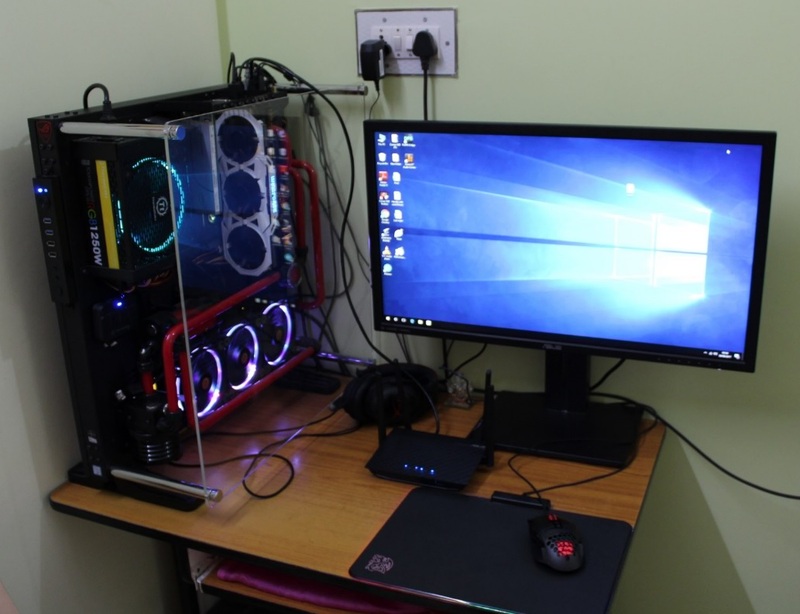 But those all were high end and expensive products, everyone can’t buy. 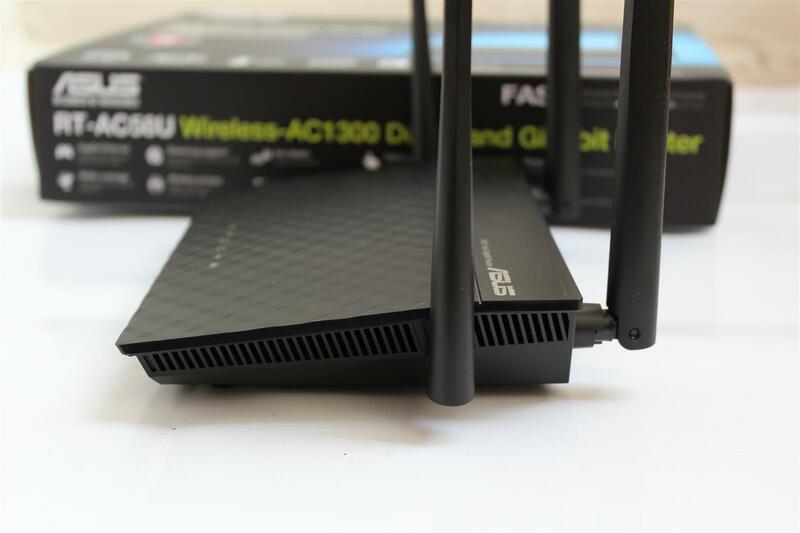 So today we are reviewing a new mid price range AC1300 dual band WiFi router from ASUS, the ASUS RT-AC58U Wireless-AC1300 Gigabit Router, with quality and features for everyone's need. 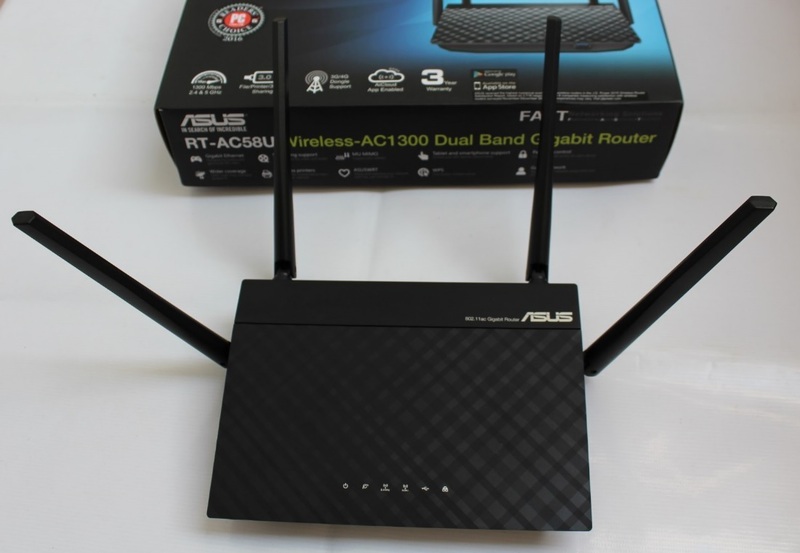 Now let’s see what this ASUS RT-AC58U Wireless AC1300 Router have for us. 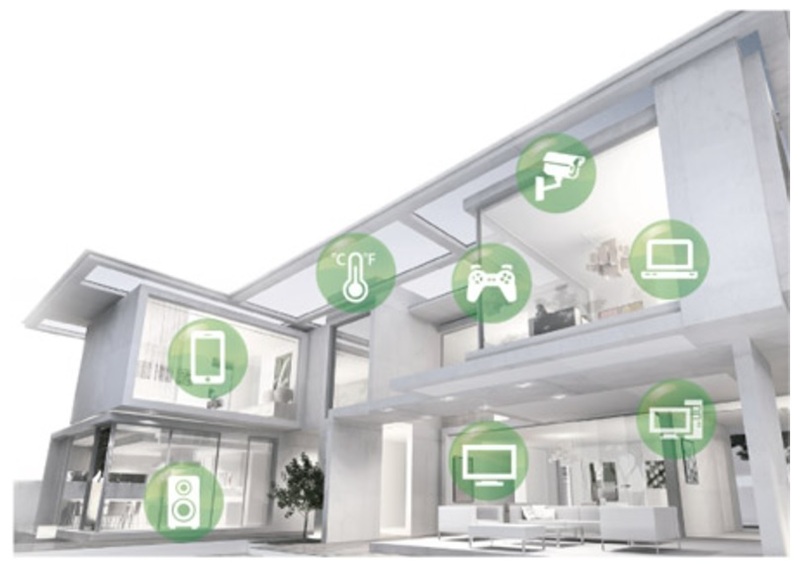 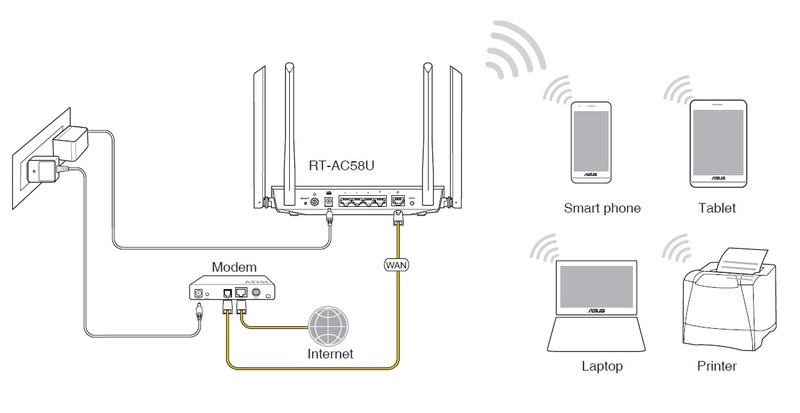 The four external high performance antennas on RT-AC58U improve the Wi-Fi range and multi-device performance in your home. 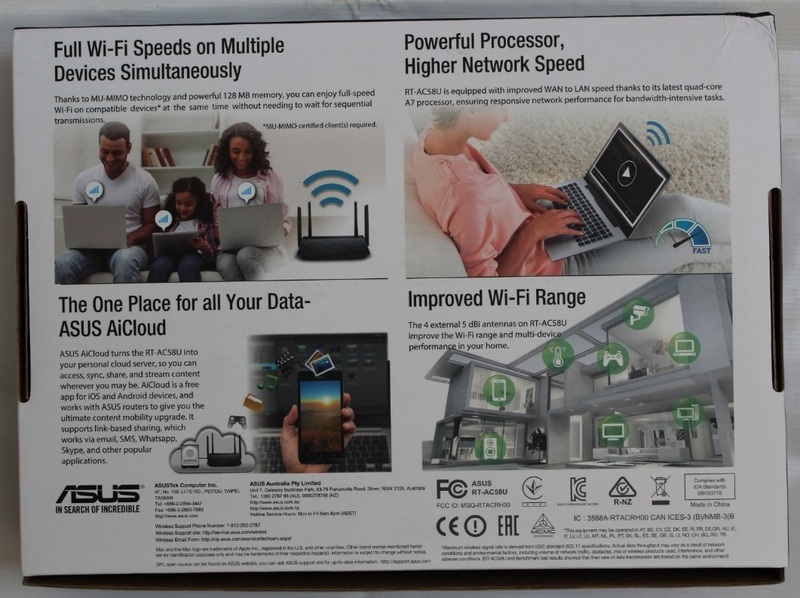 ASUS RT-AC58U comes in a box securely packaged with product image, model name and features highlights on front and the back of the box. 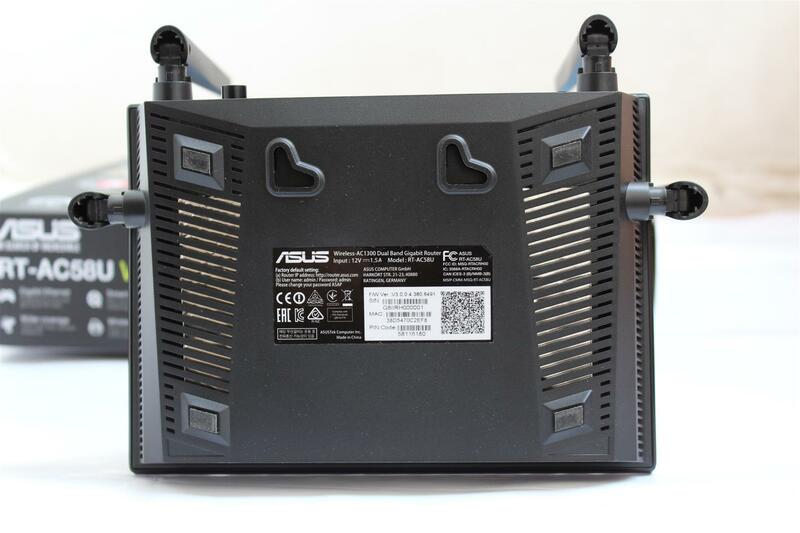 ASUS RT-AC58U is a sleek looking router with 4 pre-installed external antennas, each about 20cm long. 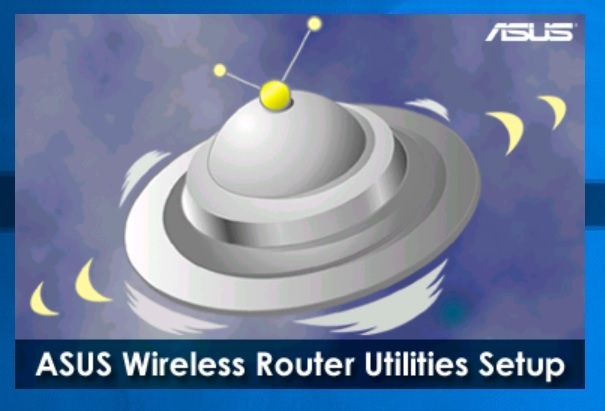 Antennas can be setup in any direction for optimal signal coverage. 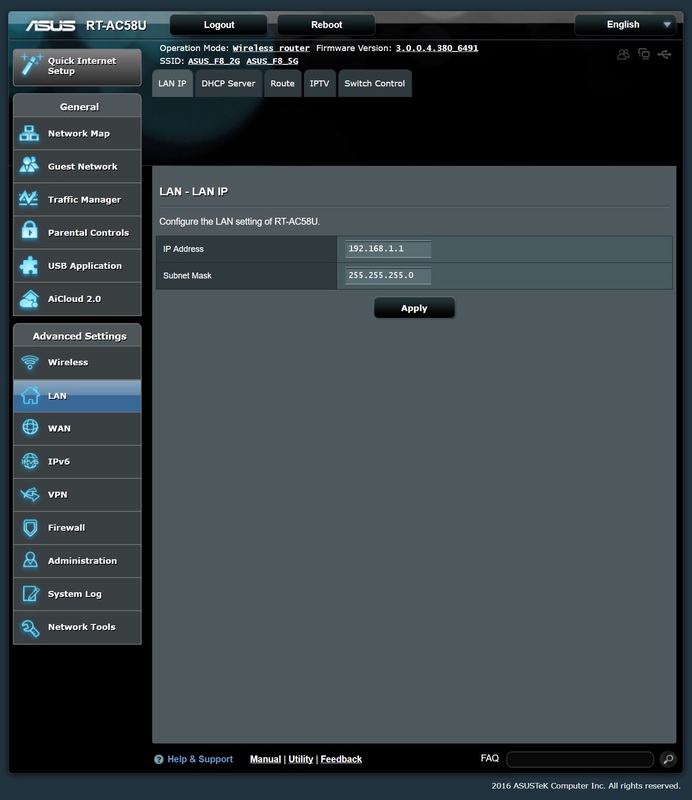 The status LEDs on the top of the router lights up in blue indication corresponding activity or status . 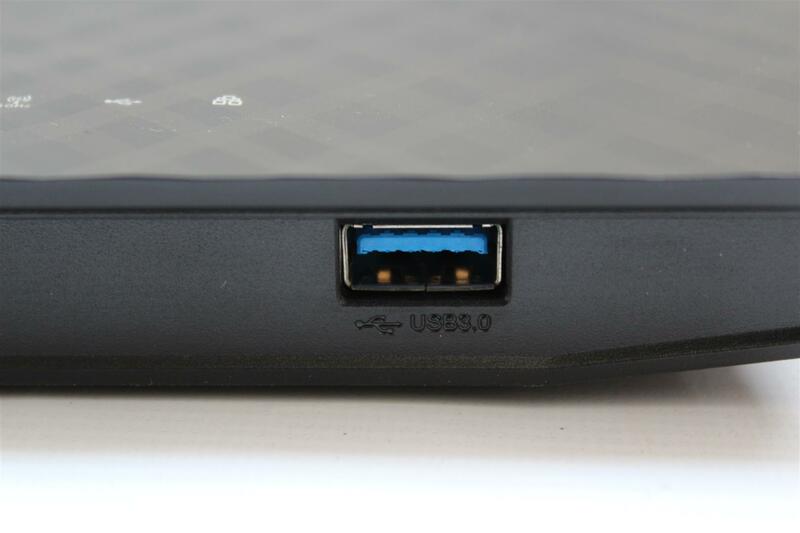 Front USB 3.0 port can be used in various functions such as file server, printer server and so on. 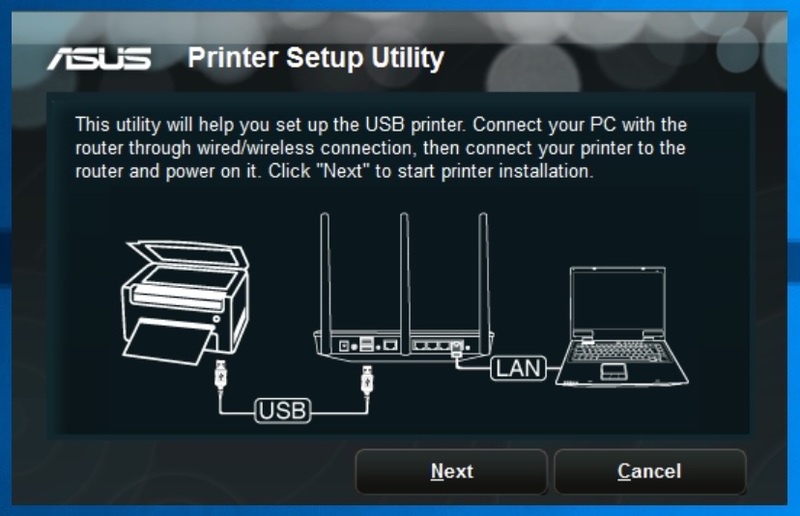 On the back we have a power button, reset button, power jack, 4 GLAN ports, one WAN port and WSP button. 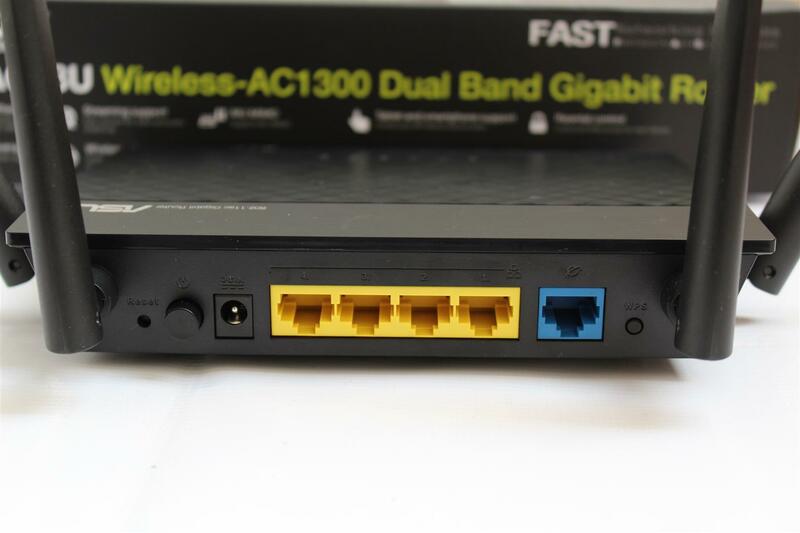 Both side and bottom of router have lot of air vents for proper cooling of the router. 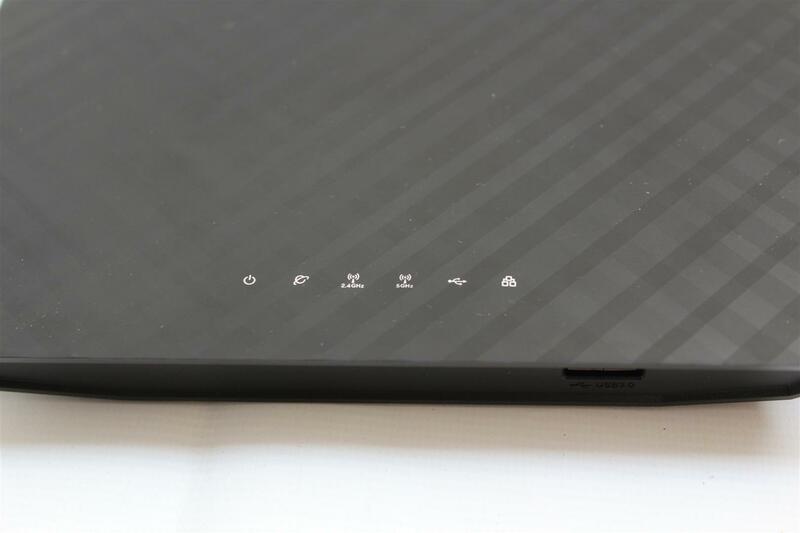 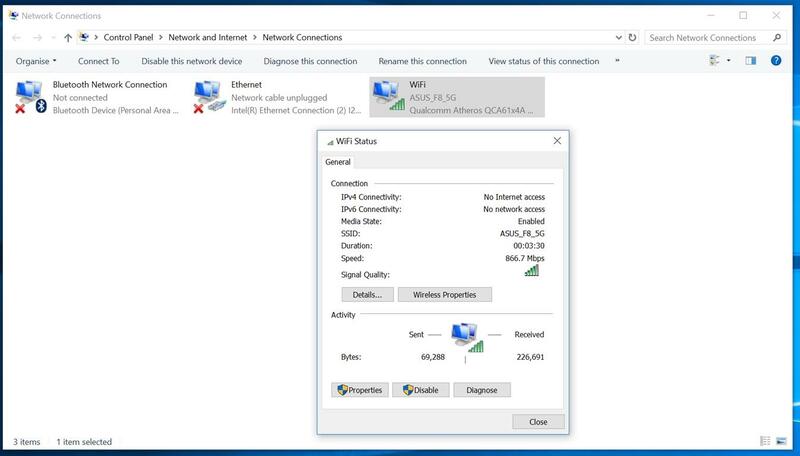 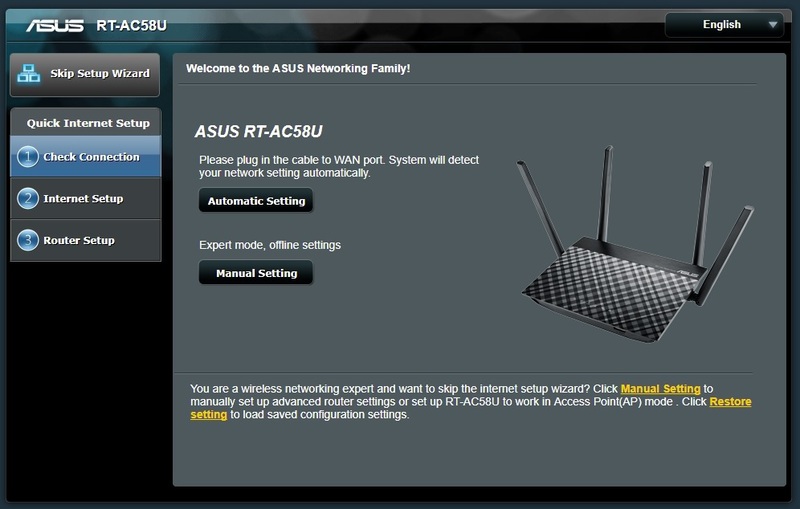 For testing this router I am using my desktop PC with ASUS Maximus VIII Formula motherboards which is having onboard Wi-Fi 802.11 a/b/g/n/ac connectivity. 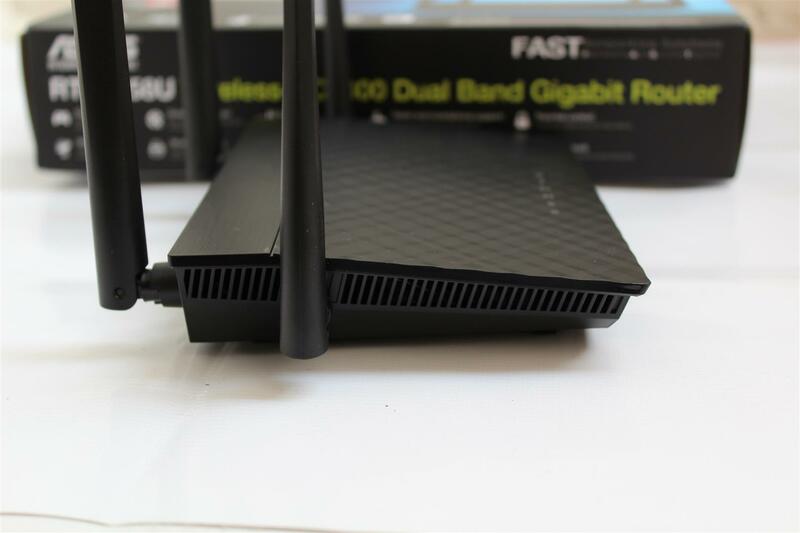 Supports dual band frequency 2.4/5 GHz and WD My Passport 1TB USB 3 drive. 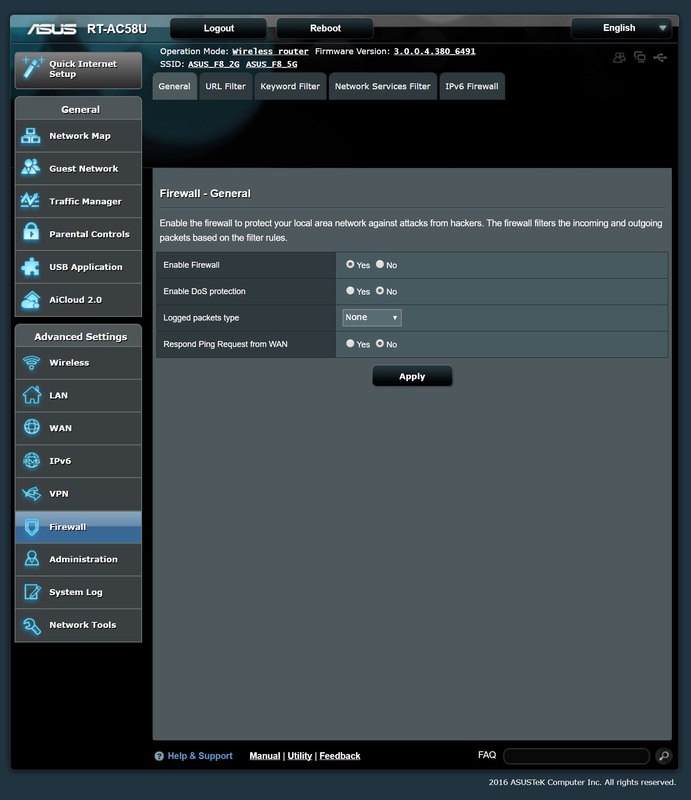 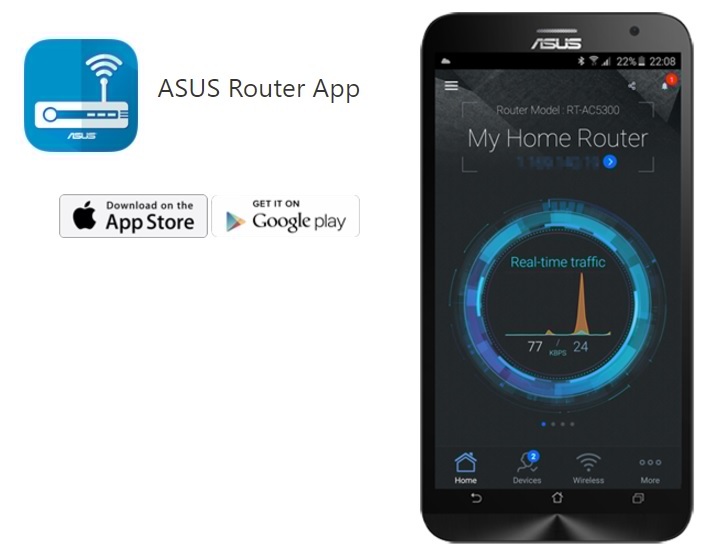 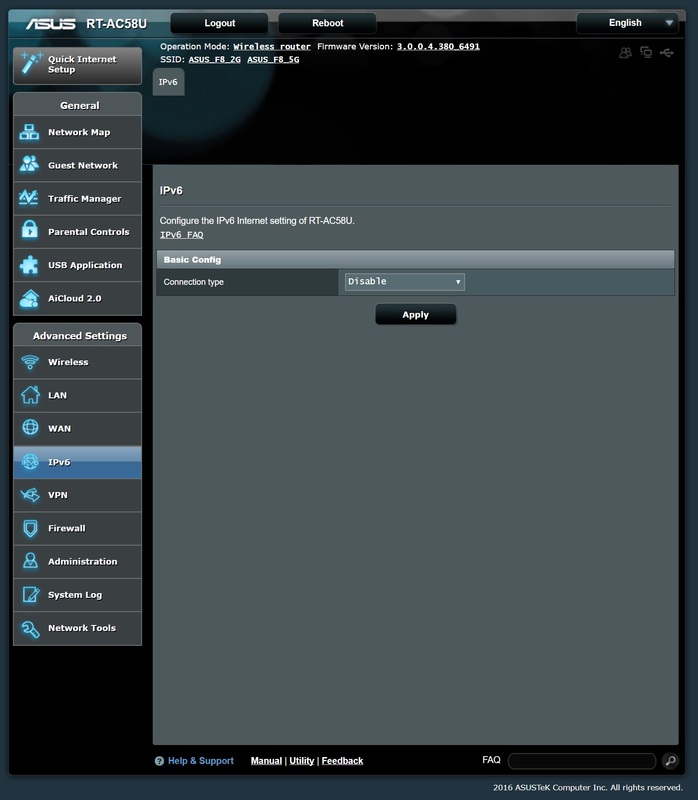 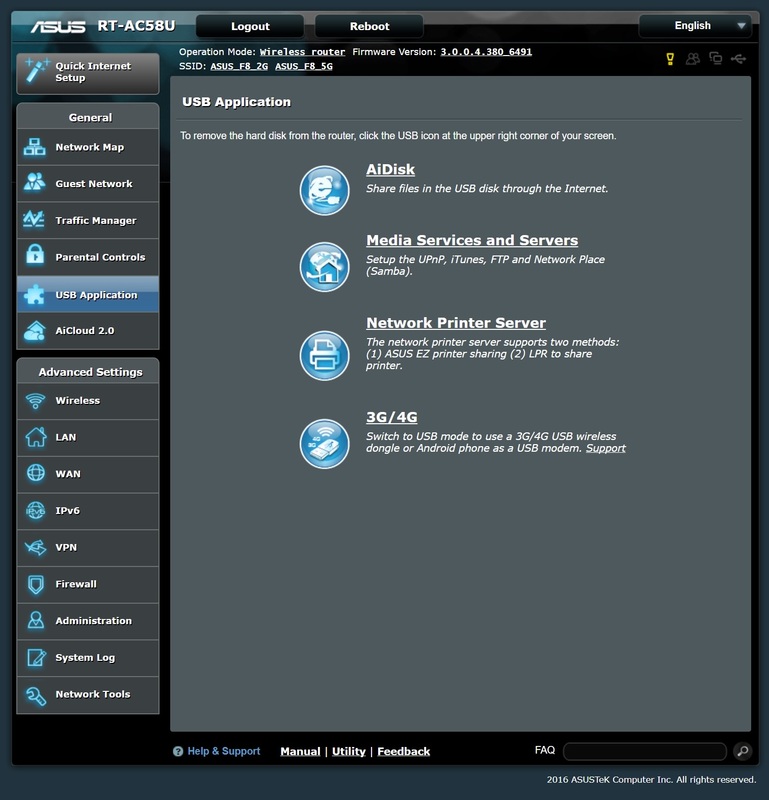 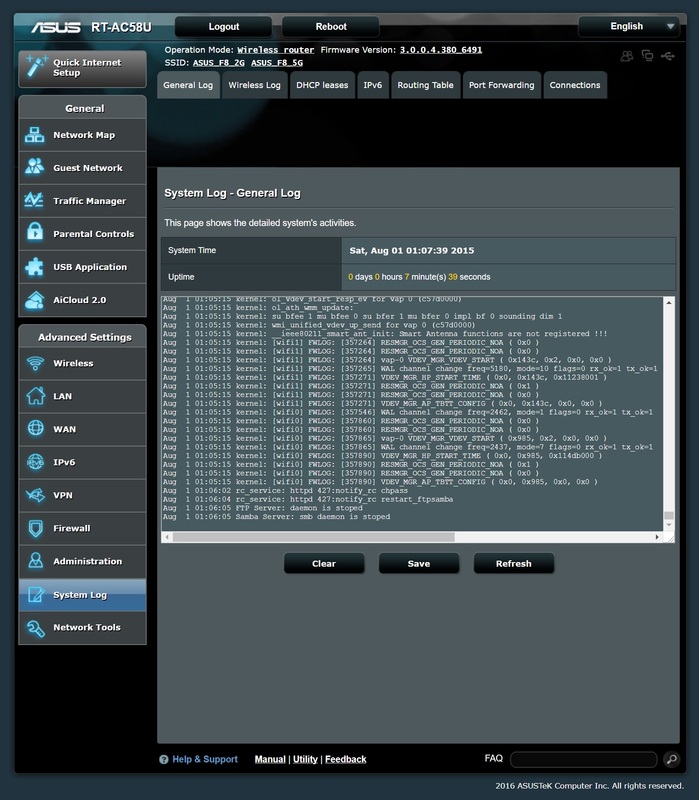 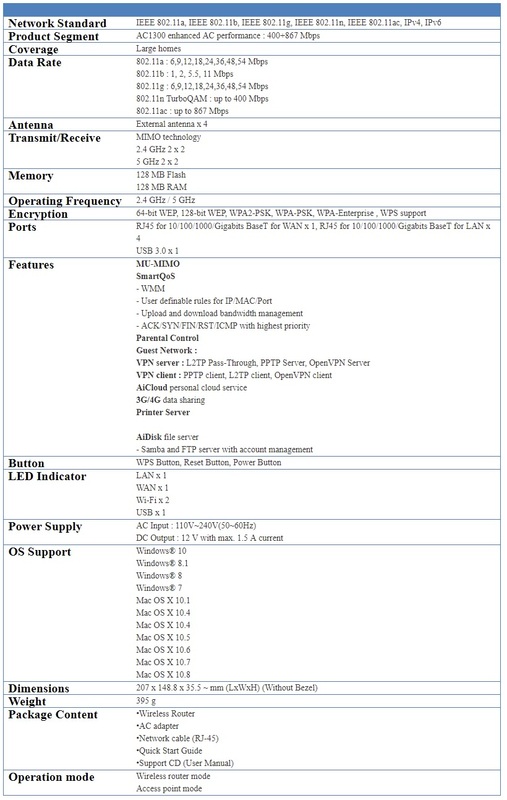 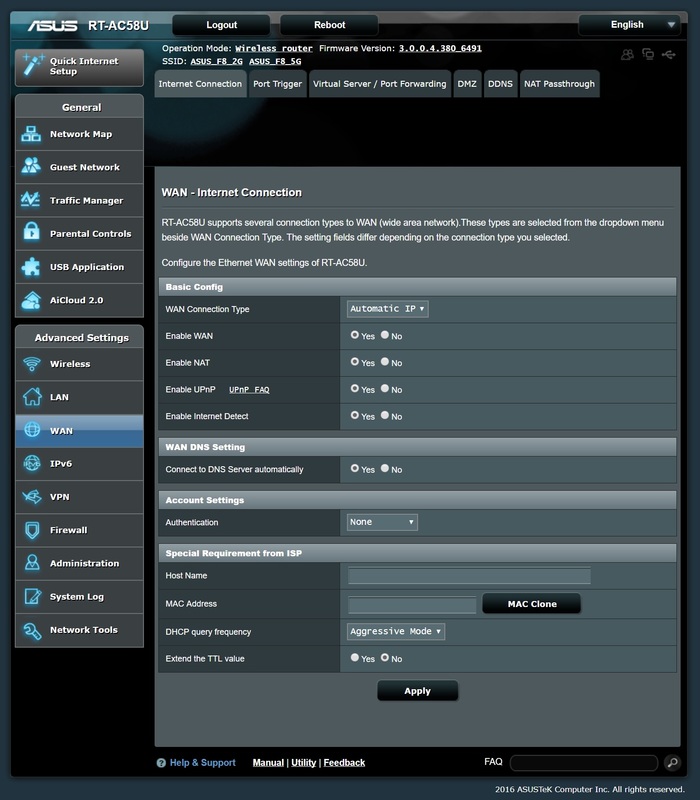 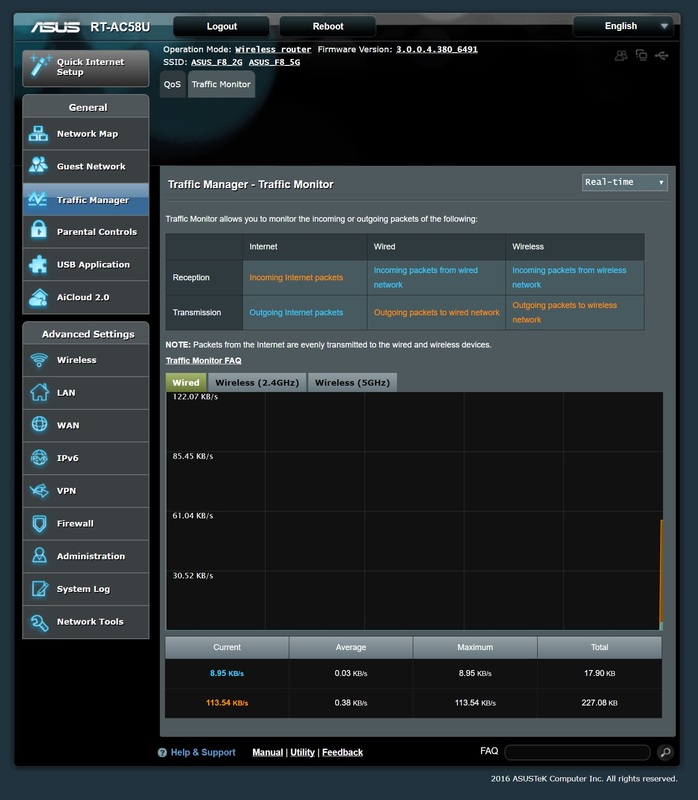 ASUS RT-AC58U Web Interface that allows you to easily configure its various features through a easy web browser url http://router.asus.com. 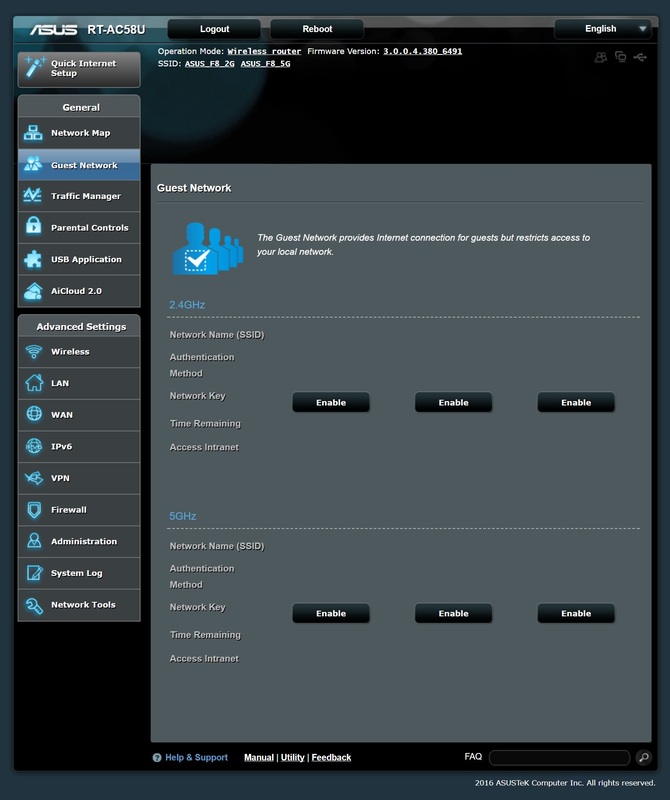 Network Map - Network Map allows you to configure your network’s security settings, manage your network clients, and monitor your USB device. 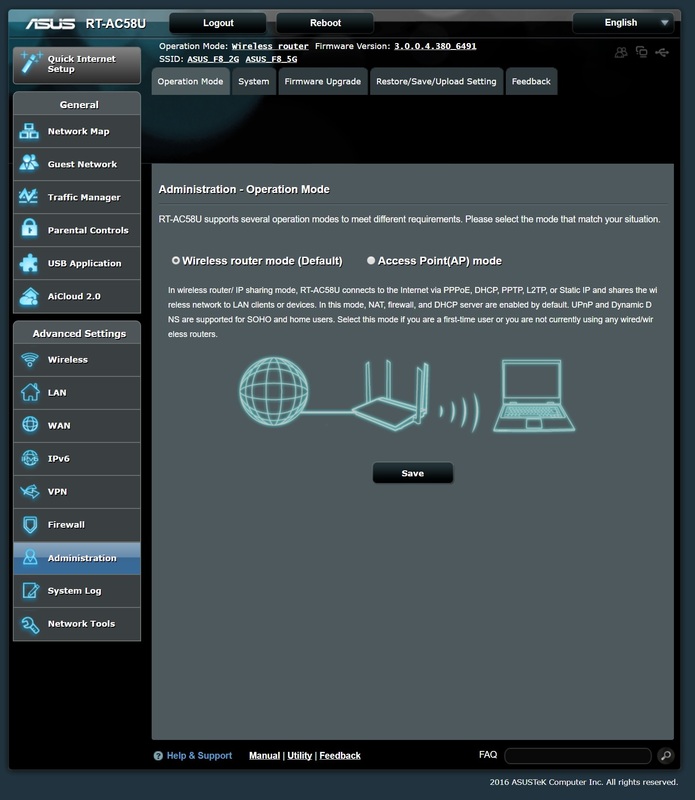 Guest Network - The Guest Network provides temporary visitors with Internet connectivity via access to separate SSIDs or networks without providing access to your private network. 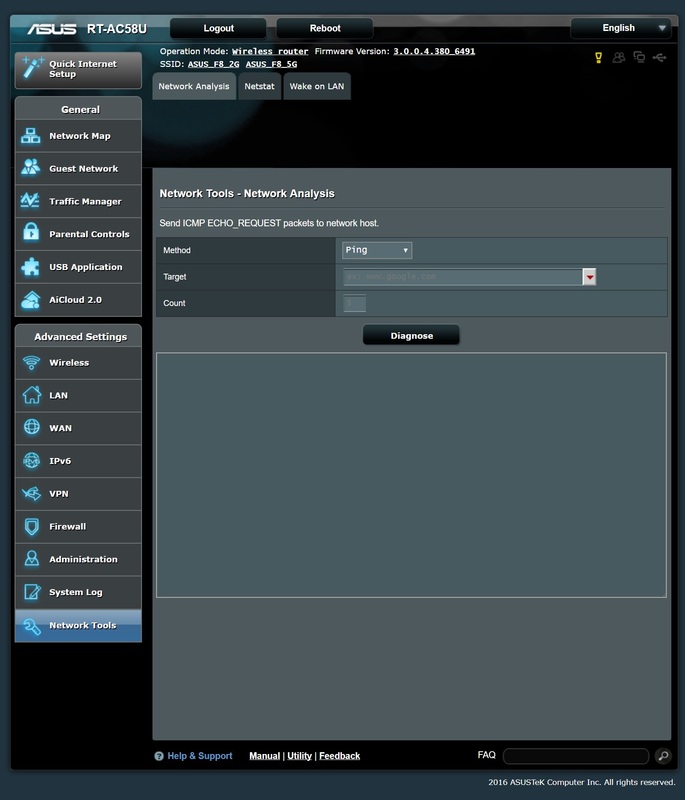 Traffic Manager - Traffic Manager Quality of Service (QoS) allows you to set the bandwidth priority and manage network traffic. 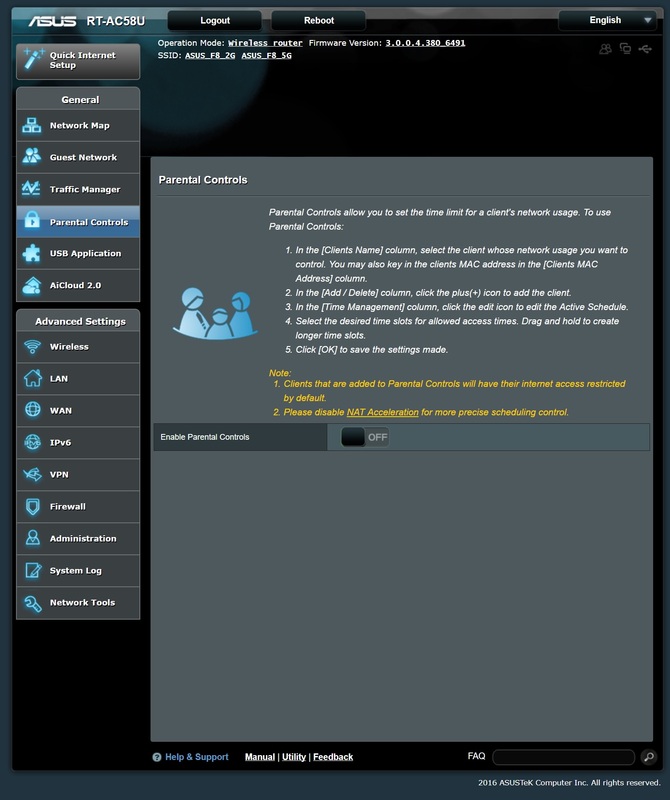 Parental Control - Parental Control allows you to control the Internet access time. 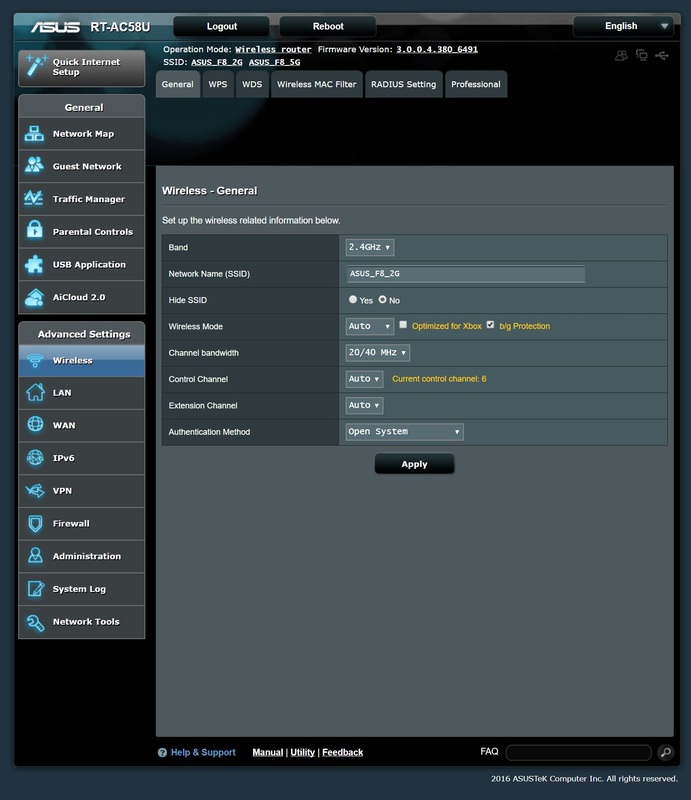 Users can set the time limit for a client’s network usage. 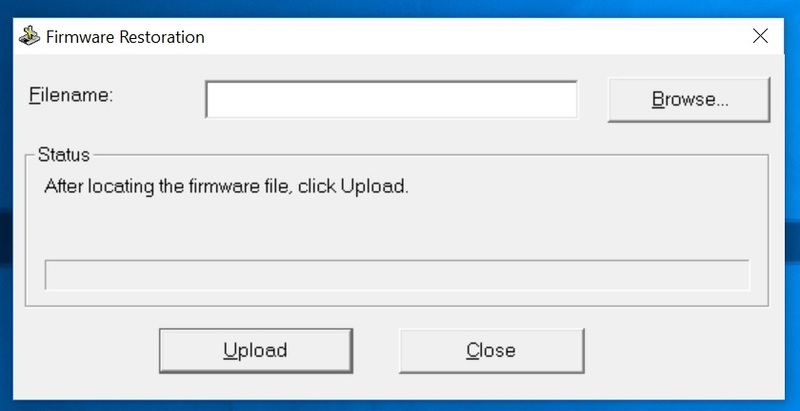 USB Application - The USB Applications function provides AiDisk, Servers Center, Network Printer Server and Download Master submenus. 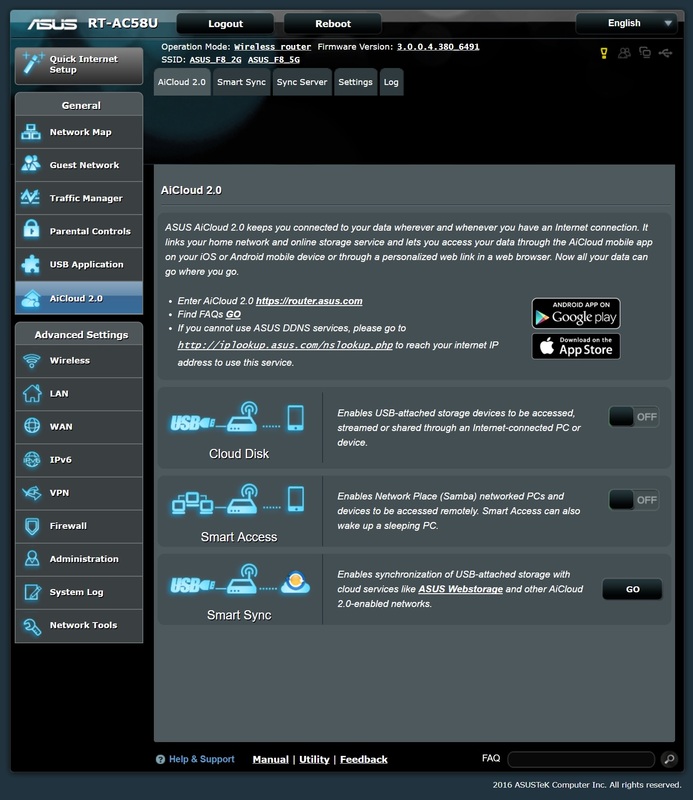 AiCloud 2.0 - AiCloud is a cloud service application that allows you to save, sync, share, and access your files. 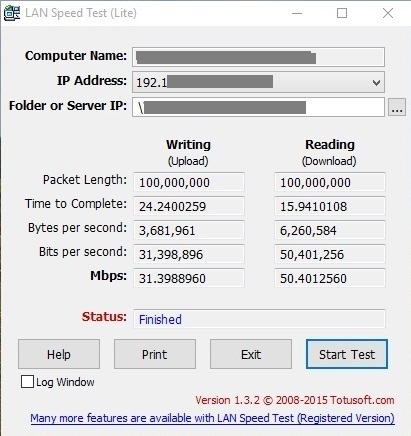 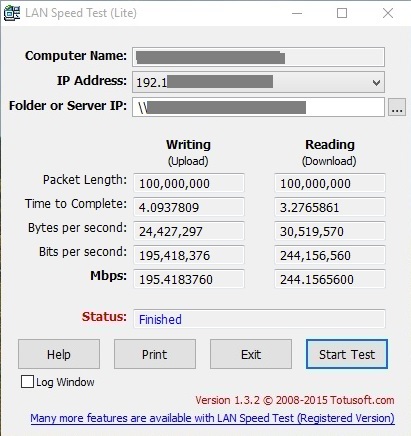 To test the WIFI Performance of ASUS RT-AC58U we used LAN Speed Test. 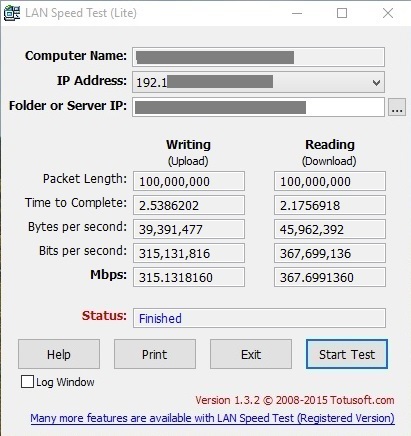 This testing was done on the 2.4GHz and 5GHz bands at approx. 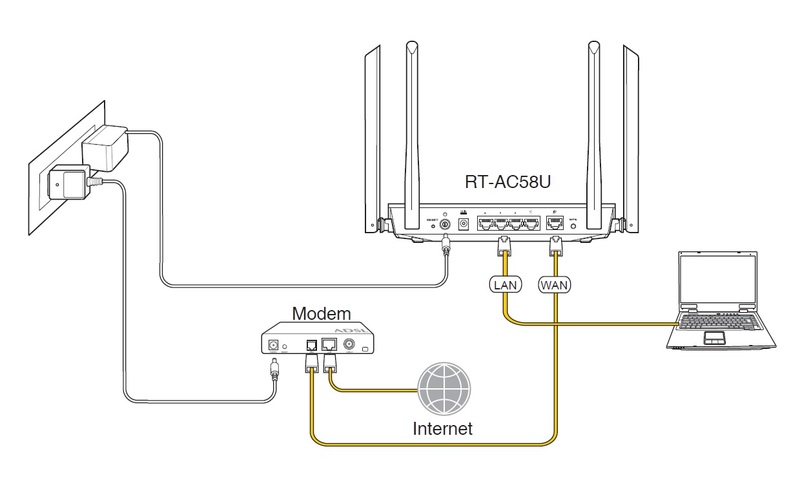 10m distance between Router and desktop. 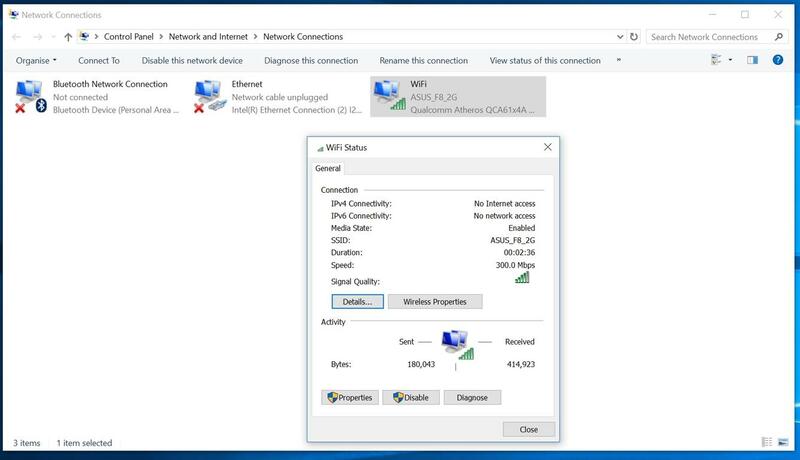 And USB files sharing at 5GHz connection. 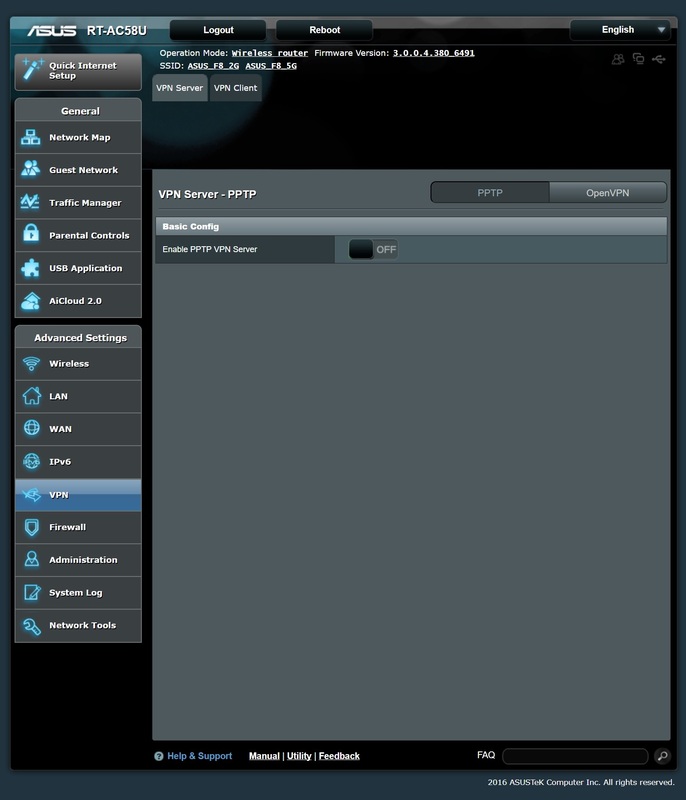 At Idle no device Wired or WiFi is connected with router. 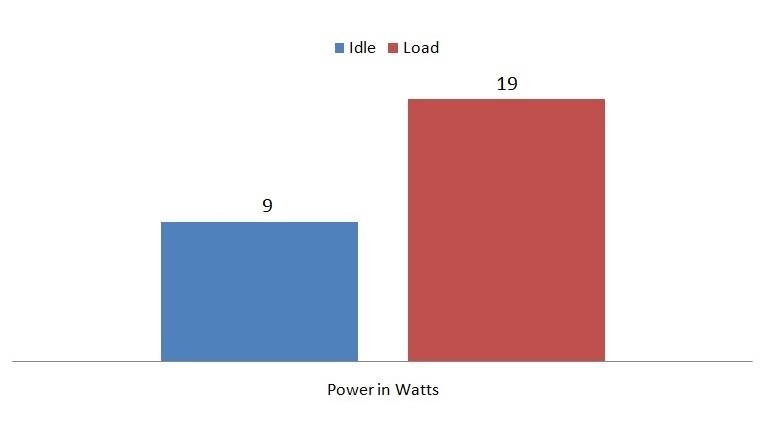 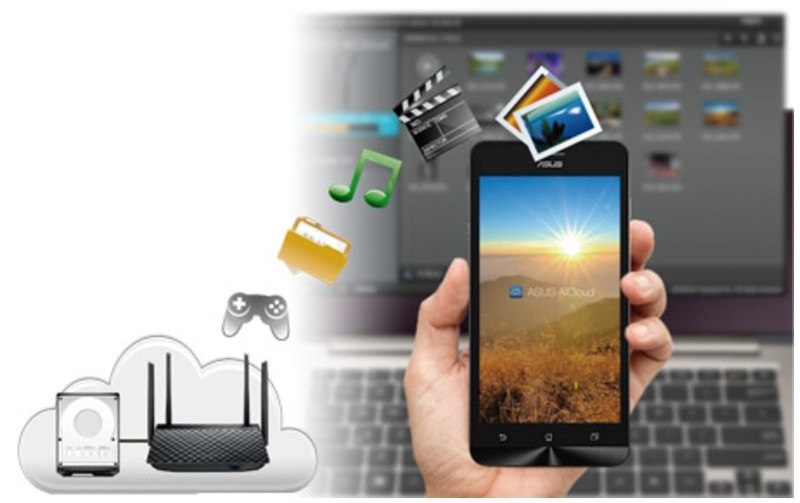 For load, a large file is transferred from Desktop via WiFi 5GHz connection to the USB 3.0 drive attached to the router as well as a 40MB online file was downloaded on a mobile device which was also connected with router. 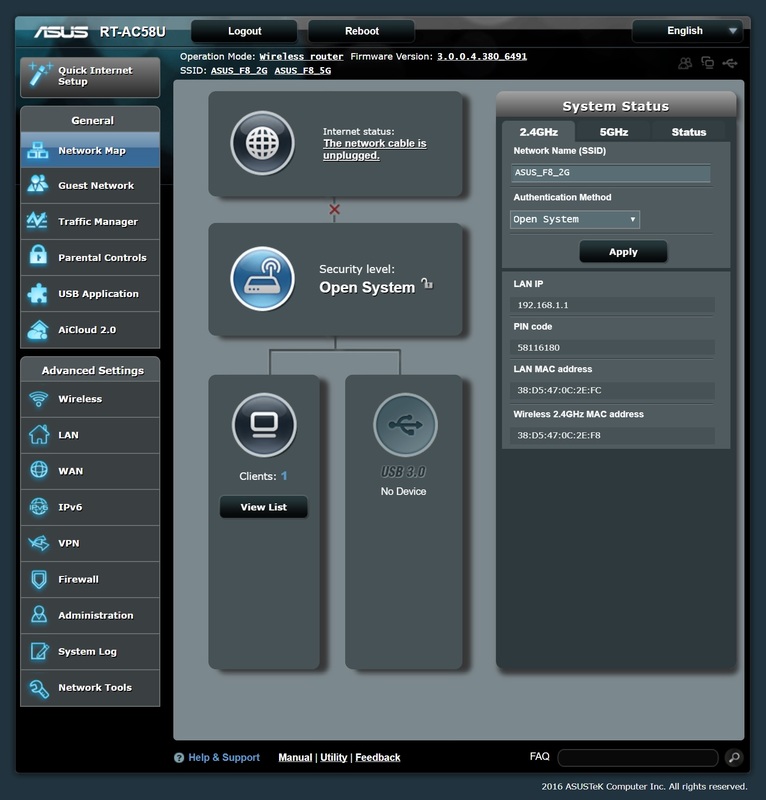 Nice Interface with lot of features for home or small office need. 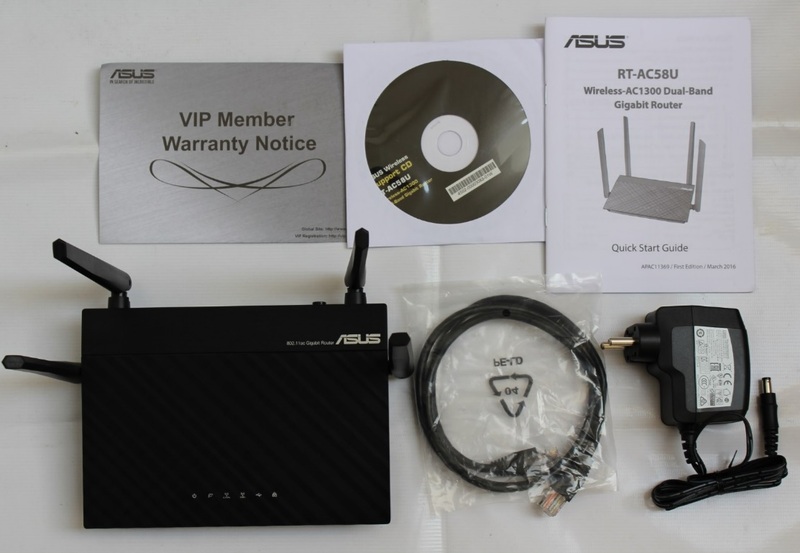 ASUS RT-AC58U is a nice feature packed router offering dual band wireless and Gigabit connectivity along with USB file and printer sharing. 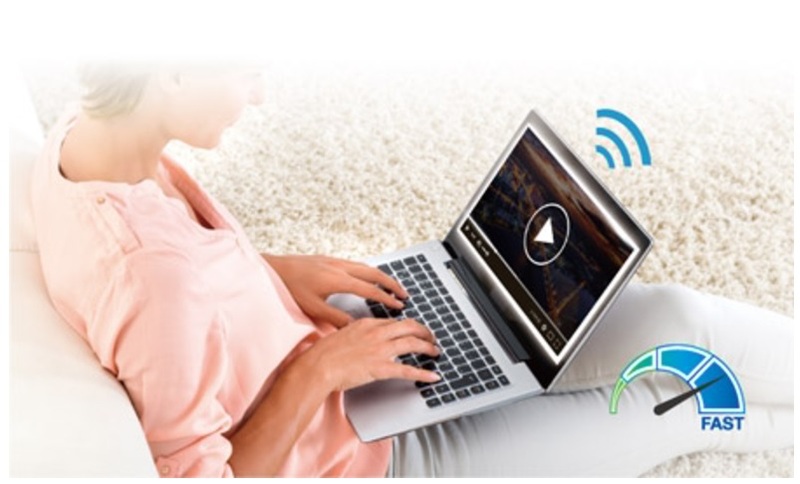 All that for a super good price tag of just INR 4450/-. 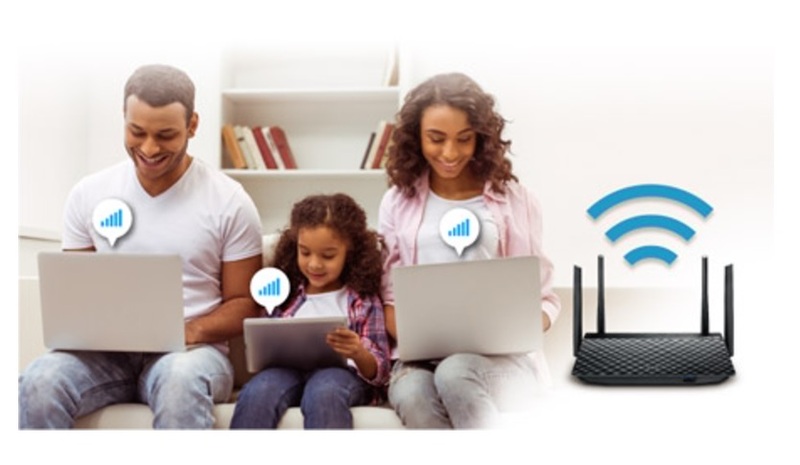 With some antenna adjustment and proper placement of router in my 2500 + sq ft. home, the wireless network reaches every corner of my home. 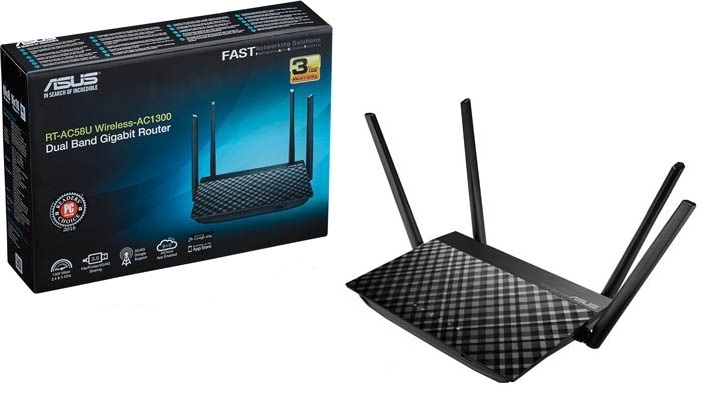 The performance of the router is absolutely best in this price segment and the features offered are that what other brands high-end products offers. 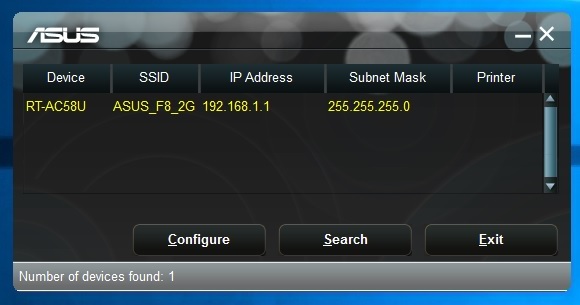 For last month or so this router (as a part of WiFi upgrade at home) is working 24/7 with no problem what to ever. 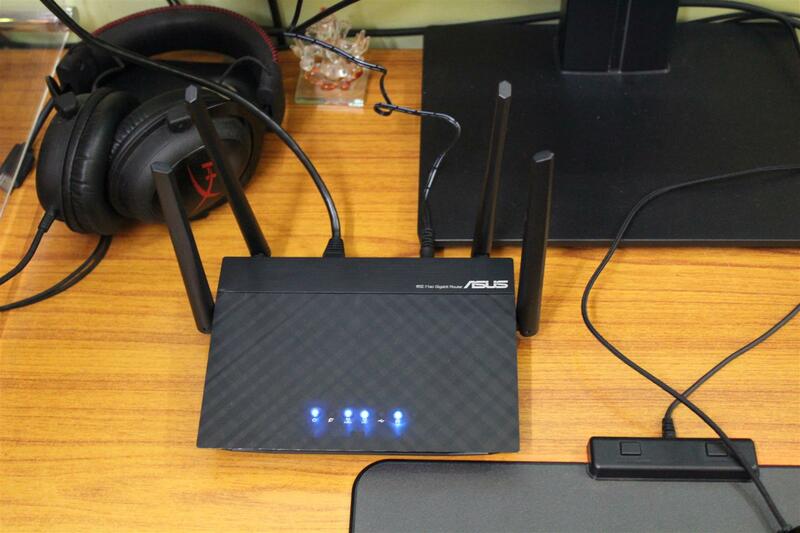 And I am totally satisfied with this little feature packed router. 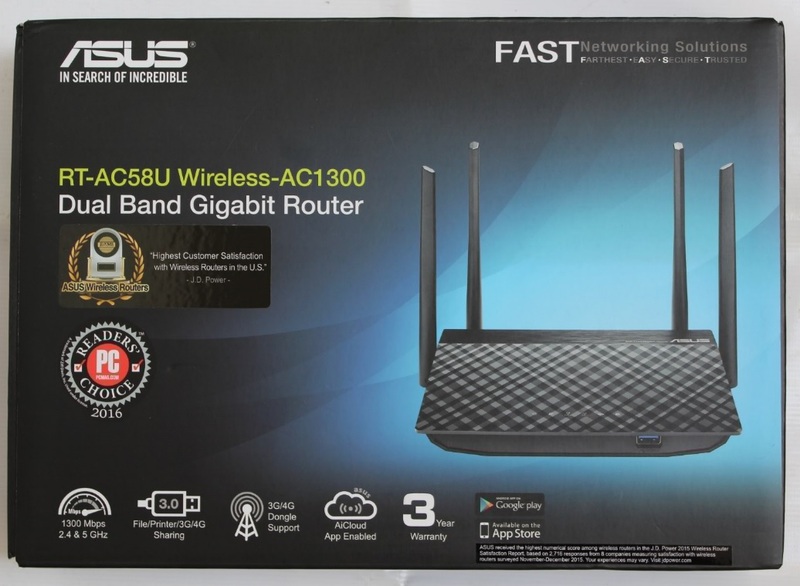 At the conclusion I found ASUS RT-AC58U is a nice-performance Dual-Band Wireless-AC1300 Gigabit Route and at a very decent low budget price tag, worthy of our PC TeK Reviews Choice Award.